Nothing in this article is to be considered legal, tax or investment advice. Please consult with your attorney and tax professional. 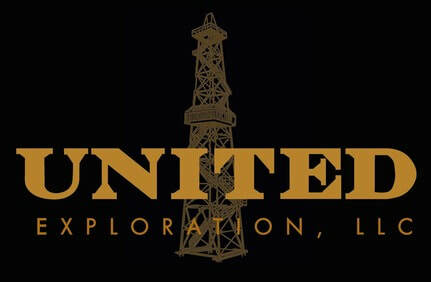 Oil and gas investment opportunities abound. Oklahoma is by far the most prolific oil and gas hub in the US, yet it is still evolving and making headlines with new investment opportunities. While the primary focus in the area is the resource plays, technological advancement in drilling and completion, combined with the development of geoscience limit technical uncertainties. The method of conducting risk-based economics has evolved to using engineering sensitivities that aim to maximize operational investments. While these economics are complicated, they have played a crucial role in creating accurate forecast models. Investment decisions thrive on these production projections. Oil and gas data forecasting can be difficult to conduct because of the differences among reservoirs and external factors that influence production trends. But production projections are made to identify variations in oil well count and to predict future output by analyzing the current viable data. This is possible through advanced algorithms. Well production is projected based on economic limit while taking into consideration several factors such as estimated operating costs. Oklahoma’s production database is updated on a monthly basis and then used to create projection curves for active wells. Wells are updated on a monthly basis and data remains current at all times. What does Oklahoma’s scoop/stack future drilling activities look like? Before analyzing the estimated ultimate recovery trends and the historical data of scoop/stack completions, it is essential to have a look at the upcoming drilling activities in this region. The simplest way to predict active drilling activity is by determining the number of drilling permits. Note that drilling permits are valid for six months. An analysis of monthly drilling permit count in scoop/stack shows industry confidence in the economic status of the area. While the start of 2015 saw a drastic drop in permit activity, drilling permit counts in scoop/stack have increased considerably. As of March 2017, the number for drilling permits in the region reached a whopping 165. This is a significant figure as it records the third highest monthly issue in the last five years. Where are the new oil drilling locations? Drilling permits have been issued on new scoop/stack locations in the last five years, with most counts recorded in 2017. These new locations are found in the following counties: Canadian, Carter, Custer, Grady, McLain, and Garvin. While most of these locations are currently undrilled, operations are set to begin sooner. Nevertheless, the stack/scoop oil field indicates a vast area with many location opportunities, with new locations expected to rise in the northern half of the formation. Which operators are investing in new locations? The last one year has seen over 1200 new drilling permits issued in the scoop/stack oil play which reflect the industry commitment and confidence in the economic viability of the formation. In addition, there are numerous stakeholders as more than 133 operators applied for permits in the last one year. According to stats, the top ten oil operating companies in the play represent 62 percent of the total number of current counts, which is 748 permits. The scoop/stack play is the hub for both oil and liquids. So, when calculating the estimated ultimate recovery (EUR) and performance of wells, you must remember that numerous wells produce both natural gas and oil. To calculate EUR, you need to take into account these three parameters: oil, gas, and boe to get correct results. Oil operators use the three-tier technique to identify wells with the highest spatial patterns. First, they examine boe ultimate (bbl), which is the total amount of estimated ultimate recovery. Operators use a ratio of 6:1 to convert thousand cubic feet to barrels. They then calculate the total oil ultimate in barrels and then gas ultimate per thousand cubic feet. Lastly, the results from the above calculations are combined with the gasoil-ratio (GOR) of the hot-spot maps to get a clear picture of the oil and gas streams in the region. Determining the gasoline values for all the formations helps to compare oil and gas EUR estimates to wet and dry windows. Also, this enables evaluators to invest in acreage with promising returns. 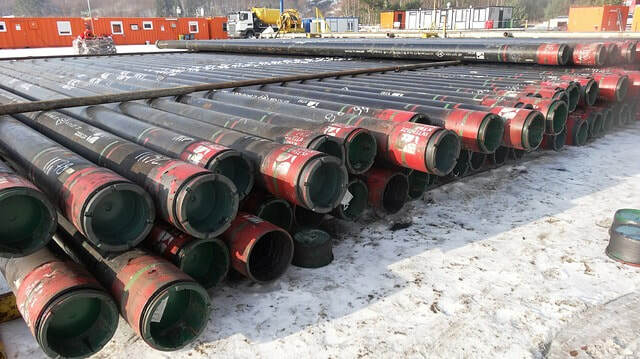 ​In spite of the recent challenges in the oil and gas field, scoop/stack has managed to revitalize itself through horizontal drilling. Oil field investment firms continue to conduct research and tests to determine promising locations, as well as to determine which completion procedure yields the best well performance. The use of a scatter graph shows the massive effects of completion methods and horizontal drilling. Comparisons in well completions show steady improvements in EURs and well performance. This article has a detailed, in-depth analysis of scoop/stack analytics and future projections. Assessing permit counts, drilling & completion costs, calculating EURs, and analyzing new well locations show economic viability in this region, with immense growth expected in the near future. Advancements in projecting models through formation assignments continue to improve the quality of data and its interpretation. The constant analysis of production helps oil operators to leverage high-tech machine-learning equipment. All in all, the future of scoop/ stack is quite exciting and promising. Being a major oil and gas producing center in the US, more and more investors are expected to tap into the region and invest in the unexplored treasured land. Production forecasting is not only the backbone of operations but it helps accredited investors and oil and gas operators make informed decisions. You can contact United Exploration for more information, but remember nothing in this article is to be considered tax or investment advice. Please consult with your attorney and tax professional.